If you’re a lover of all things technology, you know to keep the festive spirit going past New Year’s Eve and through to early January, for the kick-off of CES 2016. Like each year gone by, CES is bigger than it has ever been this time around. And like every year, there’s going to be approximately a gajillion things going on at the same time. To help you from having your head explode too quickly (it’s going to happen eventually) here’s a few things for which to keep a special eye out. CES is well-known as the stage hijacked by many of the biggest car manufacturers to show us what their R&D teams have been up to in the previous year. In 2016, however, the most intriguing auto manufacturer isn’t one of the big-name brands, but a startup that views its cars as smartphones on wheels. It is also fortuitously backed by a Chinese billionaire. 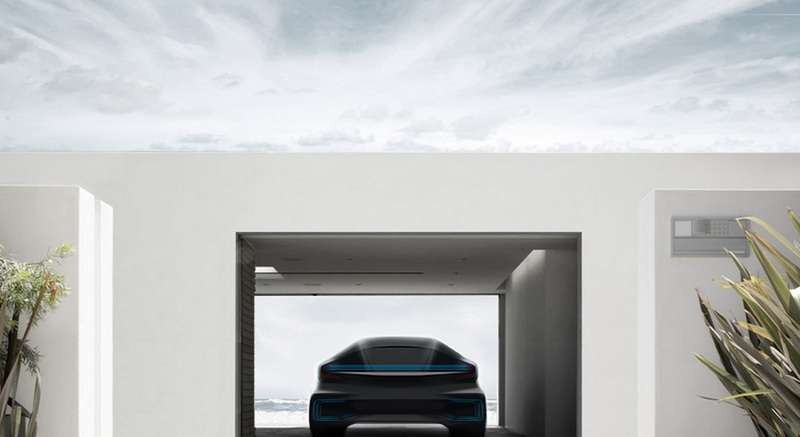 Faraday Future is currently based out of California and has a billion dollars set aside to establish a production unit in the country. They’re interesting for a couple reasons. Expectedly, they’ve got Tesla in their crosshairs, going so far as to poach high-level employees including a Model S manufacturing director. What sets the company apart is that they expect a lion’s share of profits to come from connected technology and media, instead of just sales of their cars. Tesla is currently synonymous with innovation in electric vehicles, but we may just witness the rise of one of its rivals at CES 2016. Virtual reality has been an important prospect outside of CES season for years now. Last year we got 3D Head, which with its suggestive name and gargantuan size, single-handedly lowered the standard of the field of virtual reality devices at the event. VR will show a lot more sophistication in 2016, with three of the biggest names in the industry – Oculus, HTC, and Sony – all expected to showcase the latest of their flagship virtual reality devices at CES. There are also smaller players who could make big leaps with their demos at the event. Immersive VR motion platform maker Virtuix, and Nullspace VR, a haptic feedback system for VR devices, could be dark horses at this year’s conference. Like virtual reality, the Internet of Things has been highly touted, but the lack of a system to unify the various smart devices hoping to infiltrate our homes has slowed down adoption. Intel launched its IoT platform late last year, creating a way for users to both integrate new smart hardware, and connect legacy devices. Child Angel will demo its child-tracking bracelets at CES this week. This startup is among the first to hop on to the Intel IoT platform, giving us a glimpse of what to expect as more and more tech honchos attempt to bring some semblance of “oneness” to the currently incoherent world of IoT devices. While governments are busy updating aviation laws to address drones, innovators are going ahead and pushing out new products anyway. Specifically, the “consumer drone” will be an important part of proceedings at CES this year. Hexo Plus will be among the manufacturers showcasing their wares at the Unmanned Systems marketplace at CES 2016. Hexo focuses specifically on autonomous user tracking, which makes it possible for owners to get aerial shots of themselves without having to physically control the drone. It does this through an app installed on the user’s phone, which conveys GPS coordinates and also lets the user preset the angle and distance at which the footage is to be captured. You can admit it: CES throws up as many (or more) duds as it does marvels. Last year we encountered things like the Smart Mirror by Panasonic which pointed out flaws in facial features and Kube, a speaker that also doubles as a refrigerator. A potential dud candidate this year is WELT by Samsung, a belt that, while you wear it, tracks waist size and provides diet plans based on the information it gathers. And if we get another celebrity meltdown similar to Michael Bay’s walk-off last year, that would just be swell. Well, we have seen so many different things at the electronics show over the years, but I see a couple on your list that are going to get plenty of attention. The IoT is going to be HOT and the fact that you will be able to track a kid AND watch a drone follow you around should make for an interesting year.